Tick bites are dangerous both for the ﻿﻿﻿﻿﻿﻿﻿﻿dog and the pet owner. You have to find out how to treat a tick bite on dog as soon as you have seen the symptoms. These are only mild symptoms but can get worse if you do not act on the problem immediately. Not all ticks are carriers of diseases. The disease gets transmitted when the tick remains attached to the dog’s body for more than 3 hours. A tick feeds on the dog’s blood and this is where the transmission of the disease happens. The regular kind of ticks takes hours to several days to feed. The best solution to prevent your dogs from having diseases is to promptly remove the ticks. ​Lyme disease. The disease gets transmitted to your pet by the Borrelia burgdorferi bacteria through tick bites. The condition usually surfaces 3 to 5 months after the transmission. The symptoms of this health problem include fever, paleness, muscle pains, and joint pains. Tick paralysis. This can be lethal, so it is important that you get rid of the tick from the dog’s body. This tick transfers harmful toxins to the dog while it feeds on its blood. Its major symptom, which is the weakness of the limbs, will only become apparent after a week. Babesiosis. The condition typically begins as anemia. Then, the red blood cells get infected, which leads to the rupture of the cells. As a result, the bacteria will spread all over your pet’s body, which will affect his health and well-being. Ehrlichiosis. 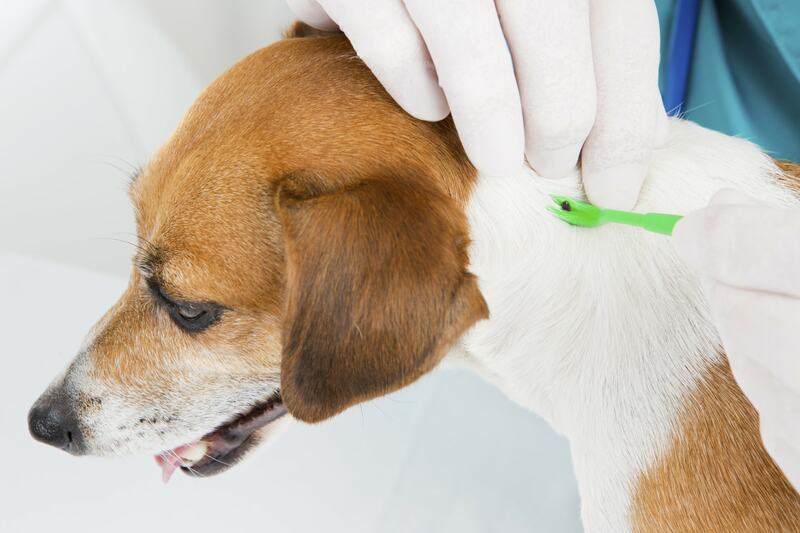 This typically occurs 1 to 3 months after your dog suffers from a tick bite. The early symptoms include lack of appetite and anemia. It happens as a result of an infestation of the white cells that will multiply through the days if you don’t do anything to treat it. Rocky Mountain spotted fever. This is a tricky one to spot, since most of the time, your dog will show no symptoms that he is suffering from it. You will only notice the problem when the condition has advanced and the dog becomes weaker. A visit to the vet and a lab test can help in determining the problem before it’s too late. ​If you live in a place that is contaminated with ticks or if you have recently visited one along with your pet, check your dog for ticks once a day. Inspect all areas of his body, especially the ears, the spaces in between the toes, legs, and other parts with less hair. If you found out that there is a tick, it is probable that your dog has already been bitten. Remove it at once. Use a special device or a pair of tweezers. Protect your hands by wearing gloves. Grab the tick by the head. Be gentle in pulling to prevent the mouthpiece or head of the parasite from getting left behind. Put the ticks in a jar that contains a little amount of rubbing alcohol. Do not squeeze them because the secretions will lead to a spread of the disease. Bring the jar to the veterinarian so that he/she can perform some tests to find out what diseases might have been transferred to your pet. Wash the spot of the dog’s body where he was bitten by the tick. Use water and soap. Rub alcohol in the area to disinfect it and put an antibiotic ointment. Observe your dog the following days if he will show signs of infection. The best way on how to treat a tick bite on dog is to determine the problem early on and get rid of the tick. Consult your vet for the right treatment products that are suitable for the age of the dog or the products that are safe for a household with children. View more details at best pets advisor.